At the Schenk Law Firm we pride ourselves on sympathetic and quality representation for our clients. 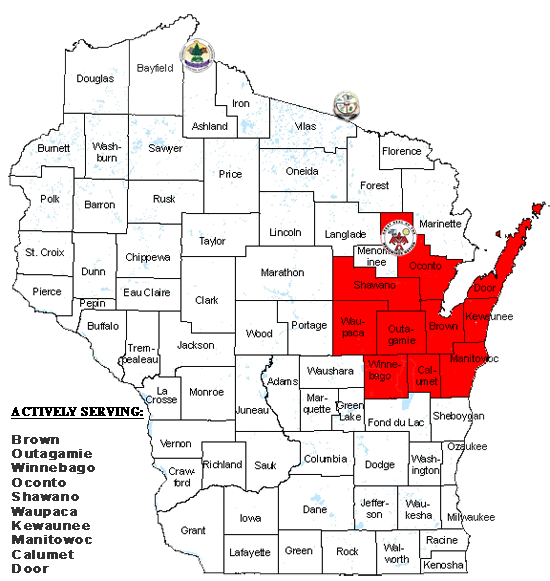 We are actively serving the following counties in Northeast Wisconsin & Michigan. Lead Attorney Aaron W. Schenk does NOT disappoint. Take a look at the county map however the firm is licensed in The State of Michigan in Addition to The State of Wisconsin.